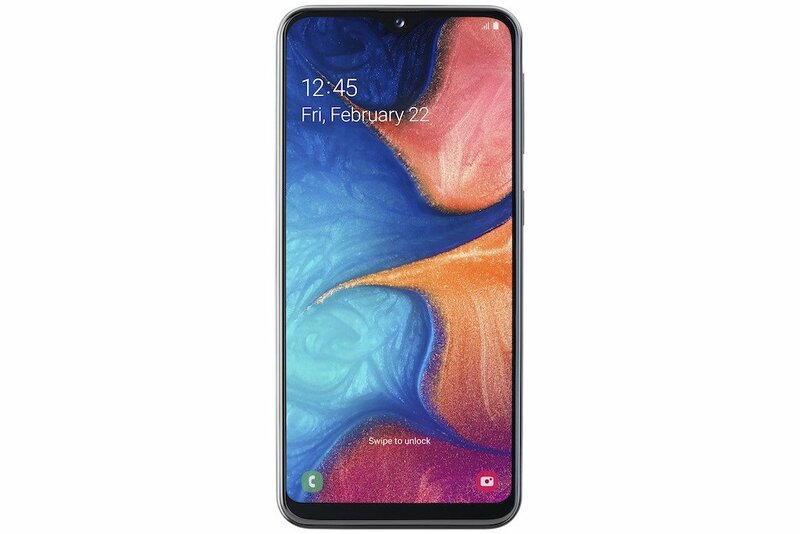 Samsung has officially launched a compact variant of Samsung Galaxy A20 in the form of Samsung Galaxy A20e. Samsung Galaxy A20e sports a 5.8″ HD+ Infinity V Display with a resolution of 720 x 1,560 pixels instead of 6.4-inch Super AMOLED display of A20. The phone is powered by octa-core Exynos 7884 processor along with 3GB of RAM and 32GB internal storage with expandable storage support up to 512GB via microSD cards. It runs on Android 9.0 (Pie) based operating system. In terms of camera, it features a dual camera module consisting of a 13MP primary sensor having f/1.9 aperture along a 5MP ultra-wide secondary sensor, while on the front there is an 8MP selfie shooter. The fingerprint sensor is present on the rear panel above the company branding. The phone is backed by a 3,000 mAh battery along with support for 15W fast charging. It will be available Black and White colour options. In terms of pricing and availability, Samsung has not announced any details about the same. 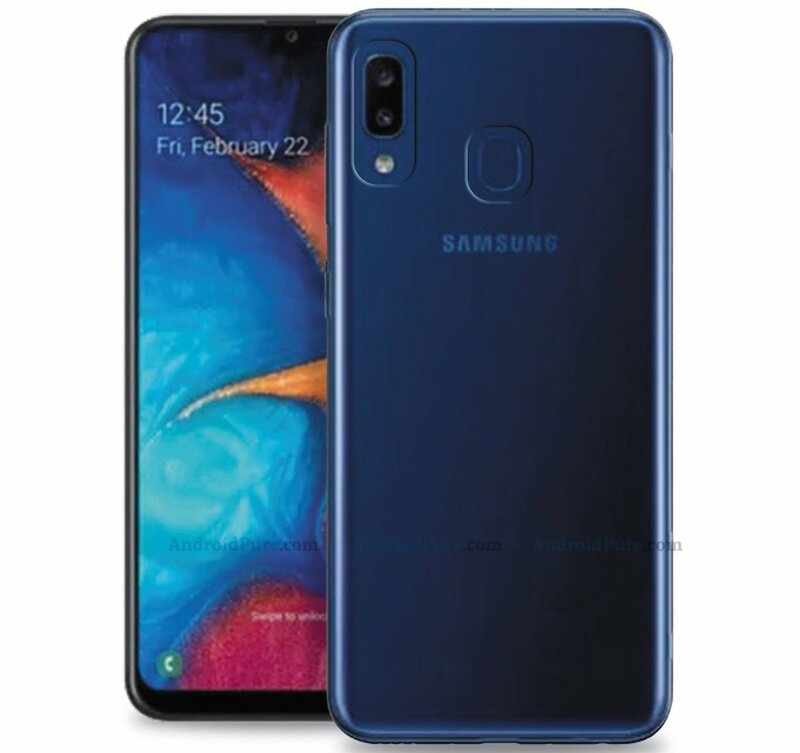 Samsung has scheduled a launch event for Galaxy A series next month on April 10 and is expected to launch Galaxy A20e, Galaxy A40, Galaxy A60 and Galaxy A90. Out of these devices, Galaxy A20e is expected to be the most affordable one while Galaxy A90 may be the most expensive one with premium flagship kind of hardware. 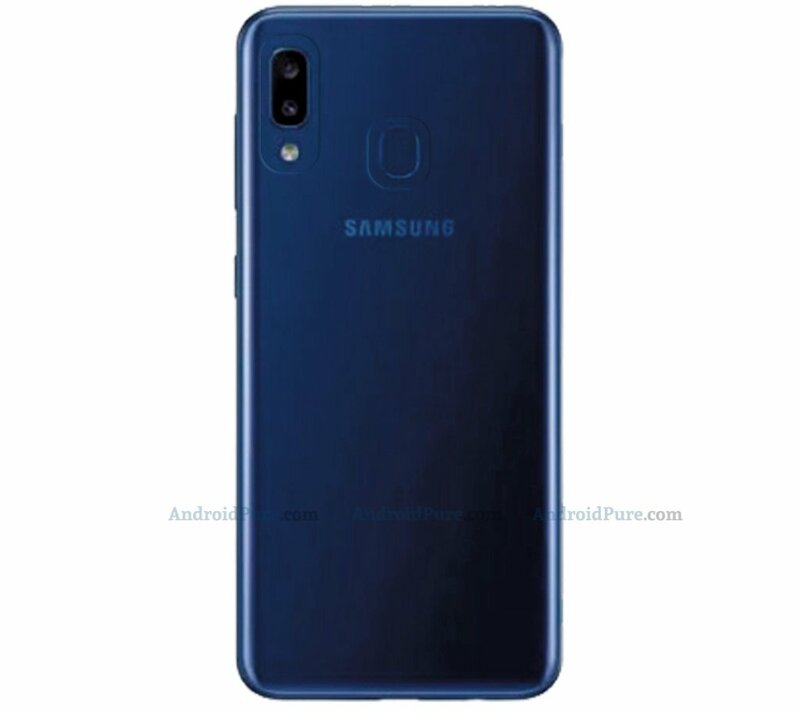 AndroidPure has received some Samsung Galaxy A20e renders which probably show the devices with silicon case and gives the first real look at the upcoming phone. 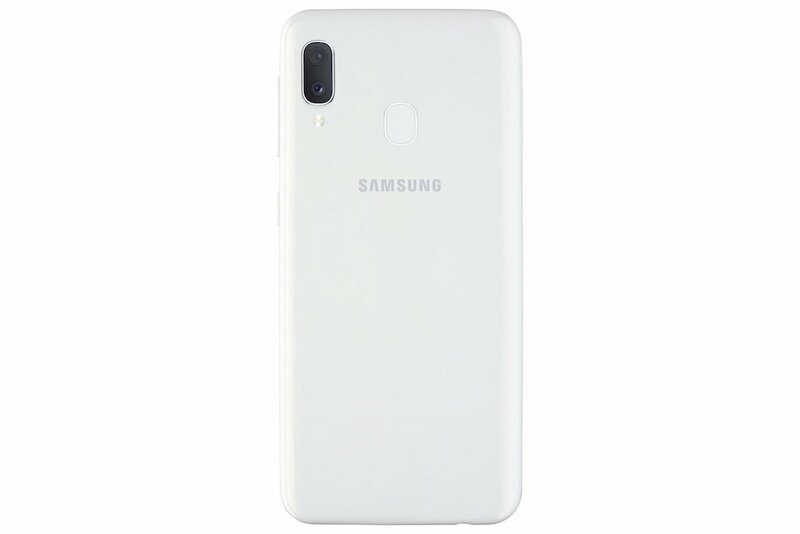 As you can see from the Render below, it does look quite similar to the Galaxy A20. The render indicates that Samsung Galaxy A20e sports an Infinity-U display, with a water-drop notch that houses the selfie camera. The size of the phone appears to be slightly smaller than the Galaxy A20 which has a massive 6.4-inch display. The Galaxy A20e renders reveal that the phone has dual cameras and an LED Flash which are aligned vertically on the top left corner of the phone’s back panel. And it also has a fingerprint scanner on the rear.It may just be a smaller phone compared to the A20 with a slightly toned down hardware. Here’s a recap of the existing Samsung Galaxy A20 hardware. As we told you, Samsung has scheduled an event for April 10th, and during the recent announcement of the Galaxy A70, the company hinted that it will unveil more Galaxy A devices soon.